614 pages | 211 Color Illus. 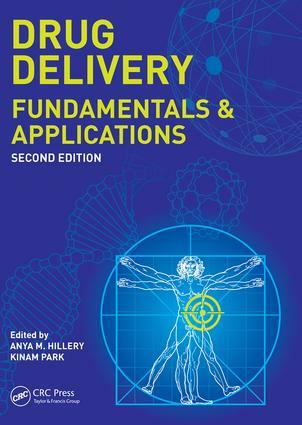 This book provides a comprehensive introduction to advanced drug delivery and targeting, covering their principles, current applications, and potential future developments. This edition has been updated to reflect significant trends and cutting-edge advances that have occurred since the first edition was published. All the original chapters have been retained, but the material therein has been updated. Eight new chapters have been added that deal with entirely new technologies and approaches. Fundamental Issues. Introduction to Drug Delivery and Targeting Systems. Controlled Drug Release: history and future directions. Pharmacokinetics and Biopharmaceutics. Improving the water-solubility of poorly soluble drugs. An overview of epithelial barriers. Parenteral Routes of Drug Delivery and Targeting. Nanoparticles for targeted drug delivery. Challenges and obstacles to targeted drug delivery. Depot formulations. Non-Parenteral Routes of Drug Delivery and Targeting. Oral drug delivery: targeting in the GI tract. Buccal and sublingual drug delivery. Transdermal drug delivery. Nasal drug delivery. Pulmonary drug delivery. Vaginal drug delivery. Ophthalmic drug delivery. Emerging Technologies. Stimuli-sensitive drug delivery systems. Drug delivery to the CNS. Gene delivery systems. Vaccine delivery. Theranostic nanoagents. Nanotechnology in tissue engineering and regenerative medicine. Other Issues. Rational drug discovery, design and development. Regulatory & Safety Concerns. Marketing Perspectives. Anya M. Hillery earned her BSc (Pharmacy) from Trinity College Dublin, Ireland, in 1990 and her PhD in pharmaceutics at the School of Pharmacy, Brunswick Square, University College London, UK. She continued her post-doctoral studies at the Square, then in 1995 took up a lectureship position in Pharmaceutical Sciences at the Department of Pharmacy, University of Brighton, UK. This was followed by a move in 1999 to Saint Louis University - Madrid Campus, Spain, where she currently lectures in the division of Health Sciences. She has previously served as Director of the Department of Science & Engineering, and Vice Dean, of SLU-Madrid. Kinam Park earned his PhD in pharmaceutics from the University of Wisconsin in 1983. After postdoctoral training in the Department of Chemical Engineering at the same university, he joined the faculty of the College of Pharmacy, Purdue University, in 1986 and was promoted to full Professor of Pharmaceutics in 1994. Since 1998, he has held a joint appointment in the Department of Biomedical Engineering and became Showalter Distinguished Professor of Biomedical Engineering in 2006. His research focuses on oral delivery, drug-device combination products, and microparticle delivery systems. He is the founder of Akina, Inc., specializing in polymers for drug delivery. He is currently the editor-in-chief of the Journal of Controlled Release.